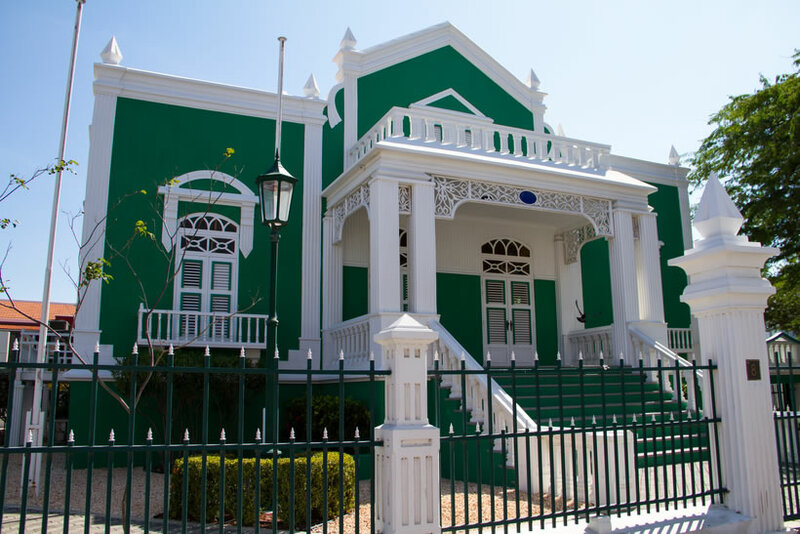 The Arends Building is one of the prettiest Caribbean style houses in Oranjestad and it is located on the Wilhelminastraat. This house is built by the late doctor Jacobo Eloy Maria Arends. The architecture is implemented by the Aruban architect Chibi Wever. Wever was assisted by the mason Jan Christiaans and Nicolaas Picus. The house has remarkable influences of the Latin American neobaroc. 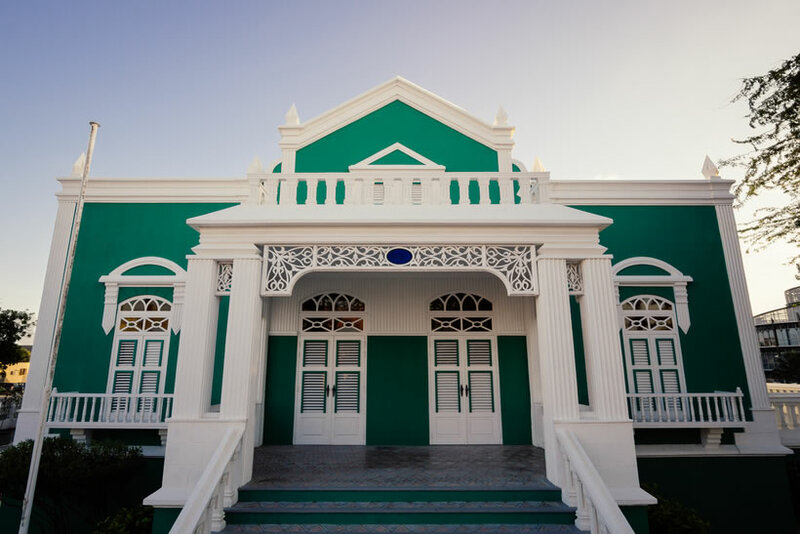 The members of the Arends family had been living in Aruba since the middle of the 18th century, and as very successful businessmen they were considered to be leading residents on the island. Dr. Eloy Arends was married to Maria Lacle. During their engagement time in 1922, the construction of the Arends residence started, which was completed in 1925. 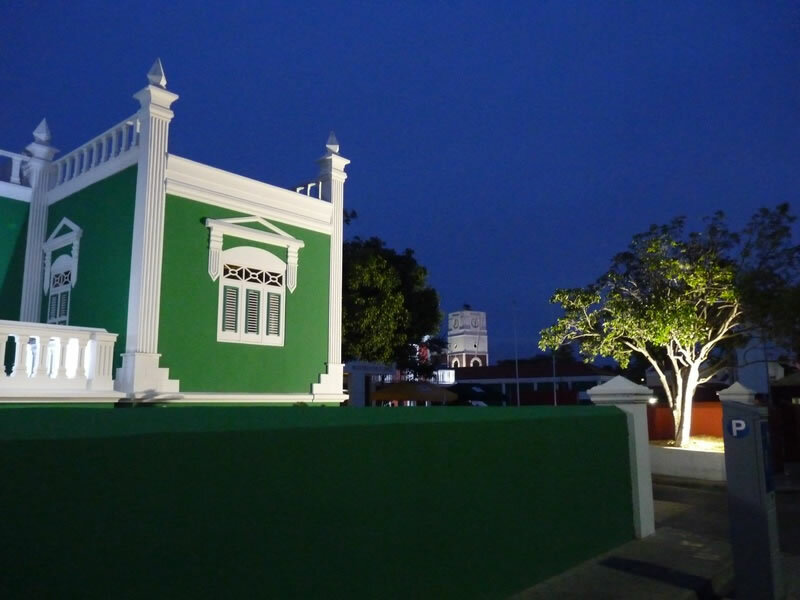 Tradition in Aruba at the time stipulated that on the day of his marriage, a man had to present to his wife a new and fully furnished house. Dr. Eloy Arends passed away in 1960, and his son, dentist Jesus Eloy Arends took up the ownership of the house. He had his dentist practice and laboratory there. 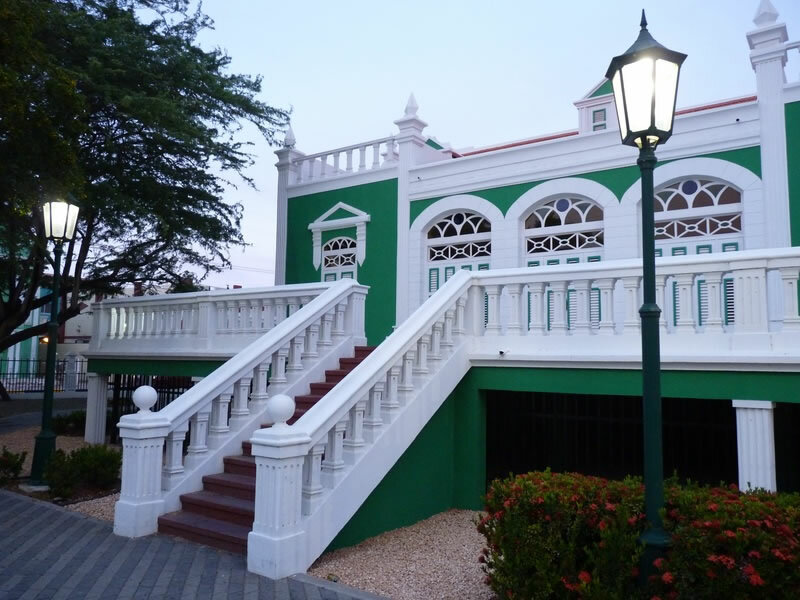 In 1986 the estate was sold to the government of Aruba by Jesus Eloy Arends as he couldn’t afford the maintenance of the building. In 1997 the building was restored. It currently serves as City Hall where weddings are performed.